For meat lovers looking to get closer to their food source, buying meat directly from the farmer is the only way to go. A 300-pound Berkshire pig sunbathes solo on lush green pasture. “That pig doesn’t believe in fences,” says Alex Murray. He’s unfazed, accustomed to outliers, including the three miniature donkeys that step into our path. “Rescue animals,” he says, and then adds how he just couldn’t say no when he met the trio. His two dogs, Davey and Honey, trot ahead, leading the way to the barn — until one gets distracted by a pack of clucking chickens and steals an Araucana away. Alex rescues the bird, who quickly struts back to the flock. Minutes after we arrive at the barn, one of the pregnant Tamworth pigs begins birthing. For a moment, we stand awestruck, as little spotted piglets appear like magic. In the barn, other sows sidle up to us for a head scratch, and Alex introduces them all by name — there’s Daisy and Cooper, then Rosie and Tammy, a duo he likens to acting like farm dogs. The couple knew from the start that they wanted to raise animals. “I’m comfortable with animals, and I’m not so comfortable growing vegetables,” Alex says. He is also devoted to the science behind holistic regenerative farming methods, like rotational grazing. Or what he refers to as the science of turning bad land into good land. “This means that we carefully control the movements of multiple species of animals to produce healthy animals, while enriching the surrounding soil and pasture. “We consider ourselves to be grass farmers,” he adds, “and our cows — along with our other animals—are the tools that we use to improve grass production to help minimize our carbon footprint.” In addition to the hogs, the family raises Katahdin/Dorper mix sheep, broiler chickens, and a herd of heritage breed Red Devon and British White cattle. The cattle are 100% grass-fed and are moved to fresh pasture daily in the spring and summer months. “Our goal is to sell direct to families,” Alex says. And to make buying sustainably-raised meat direct from the farmer as easy as possible. As we turn toward the Coweeman River, which ripples throughout the property, Alex points far beyond the trees, where Tamworth, Old Spot, and Kunekune pigs roam out of sight. He committed to heritage breeds from the beginning for many reasons — the breeds haven’t been genetically engineered or modified, they maintain genetic diversity, and they are a more robust and healthier animal. “We can let them roam the hillsides and pastures,” says Alex. And no matter what the season, the herd stays healthy. “I took that to heart,” says Alex. He and Whitney were already sustainability advocates and drawn to working with the land. “We took a big risk and decided to jump in,” he says. The couple was living in Utah, and promptly packed up their life and two dogs to return to their home state of Washington, where they invested in 580 acres of rolling pasture surrounded by old-growth forests in the town of Kelso. “I like hard work. I like sacrifice. I like long days and working with my hands,” Alex says. 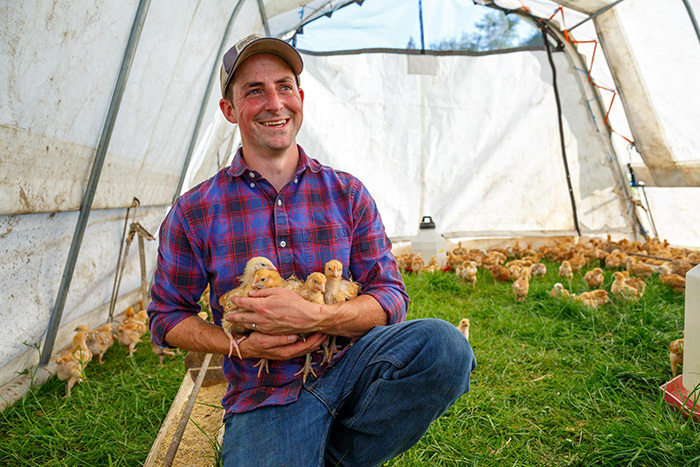 “This seemed like a good fit.” Since transitioning to farming, Alex has built a strong support network in the most unexpected places: Instagram. Most of the small sustainable farmers he’s connected to are in their mid-30s and share a similar ethos. 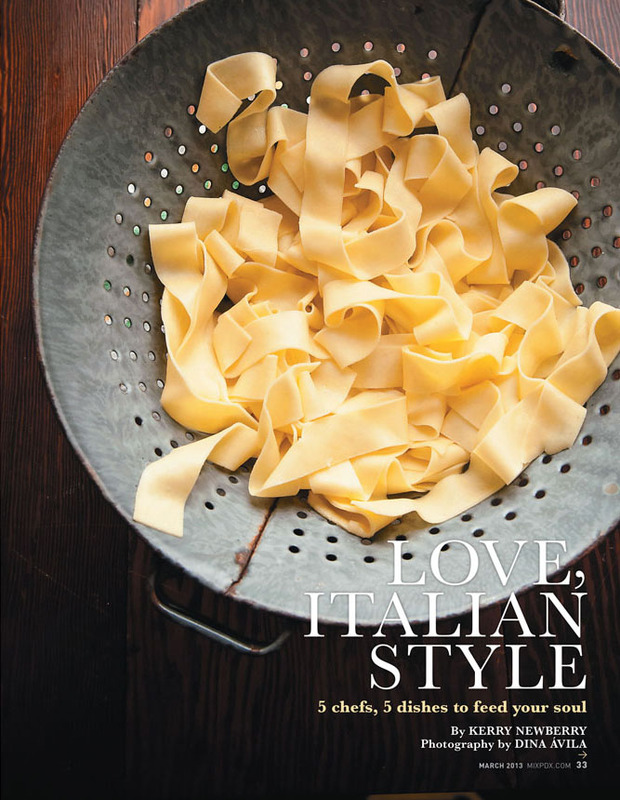 “They are following the Joel Salatin model,” he says. And through social media, Alex and Whitney can reach a new audience with their message, and tap into local markets for direct sales. It’s the first place he turns to with questions, and part of how he’s grown his herd—by seeing posts from other social-centric followers. “Lots of farms we connect with have over 60,000 followers,” he says. “There are some seriously Instagram-famous family farms out there.” It’s a whole new way to meet your farmer. The local farms we found that offer farm-direct pork raise heritage-breed hogs on pasture year-round. The pigs roam freely — foraging and grazing on pasture grasses until they reach market weight. Cascade Farm: On their 350-acre farm, Alex and Whitney Murray raise heritage breed chickens, cows, and pigs (a mix of Berkshire, Tamworth, Old Spot, and Kunekune). Their goal is to make buying farm-direct for consumers as easy as possible. 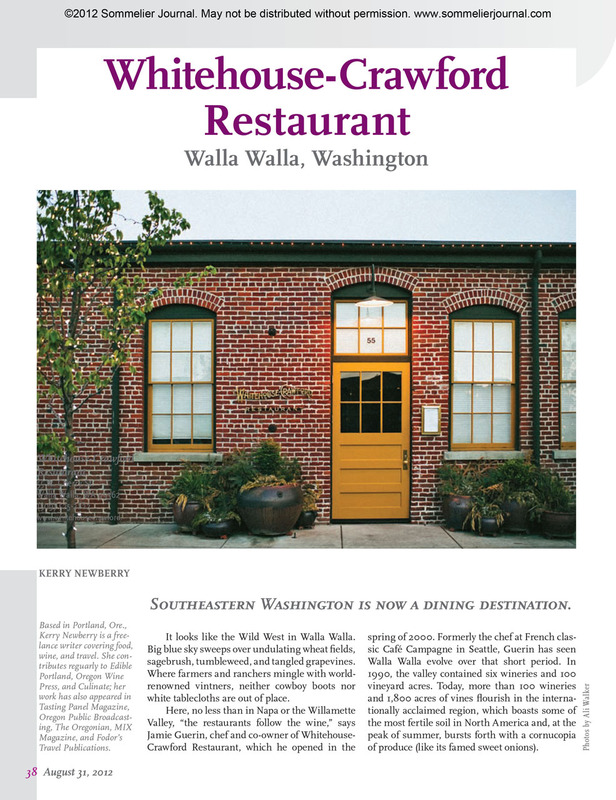 Order online for direct shipping, join a drop-off location in the Portland metro area, or schedule a farm visit and pick-up in Kelso. Champoeg Farm: Mark and Catherine Anderson own and operate Champoeg Farm, a family farm that dates back to 1856. Their Berkshire hogs run, root, and roam in woodlands surrounding the farm. In addition to pigs, the Andersons tend to a flock of laying hens, turkeys, and geese. Order online, and then either schedule a farm pick-up or visit one of their nearby farmers market booths. 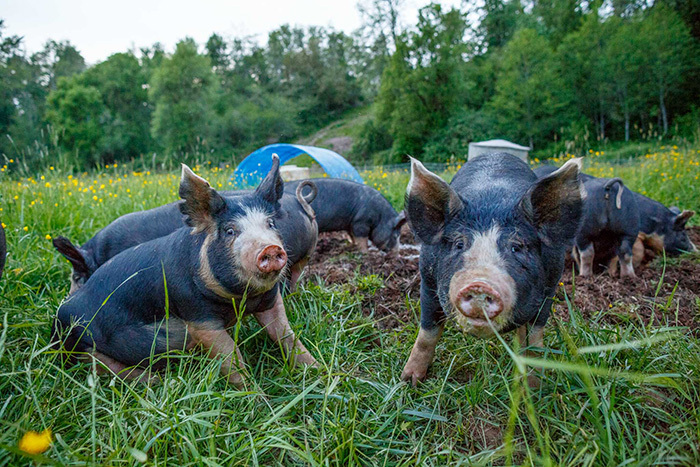 Deck Family Farm: At this 320-acre organic farm in the Willamette Valley, John and Christine Deck raise a variety of heritage pig breeds, including Yorkshires, Hampshires, Berkshires, and Red Wattles, plus hybrid mixes of each. 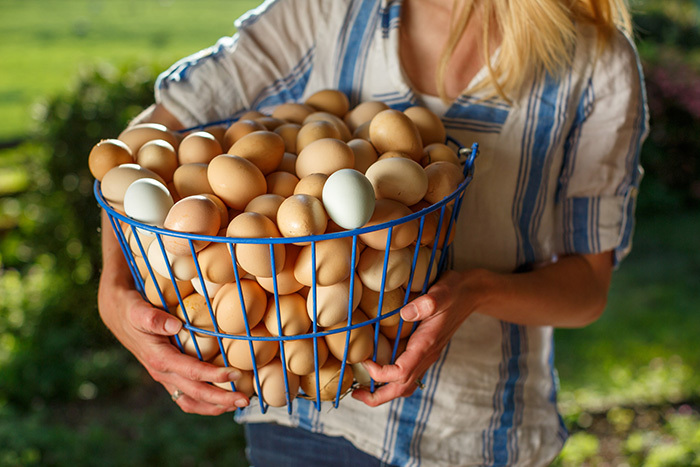 In addition to pasture-raised pork, the farm sells pasture-raised chickens, organic eggs from pastured hens, organic grass-fed beef, and spring lamb. They also offer a cooperative for their raw-milk dairy products through the Creamy Cow Cooperative. 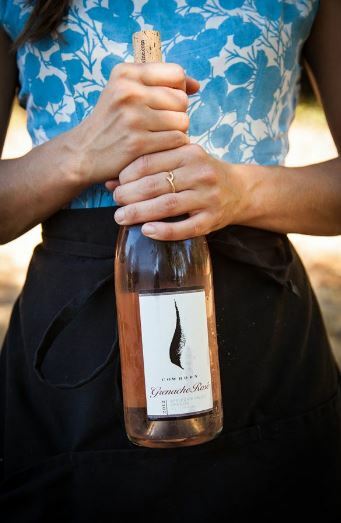 Worden Hill Farm: In 2007, Wolfgang and Susan Ortloff moved with their three daughters from Zurich, Switzerland, to Dundee, Oregon, to take over Susan’s parents’ 12-acre farm in the Dundee Hills. 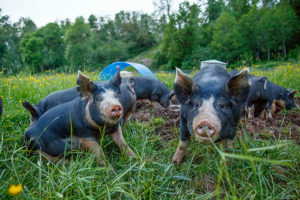 The family raises a small herd of Berkshire and Duroc pigs, who are lucky enough to feed on scraps from nearby wine-country restaurants and the neighboring Baird Family Orchards. 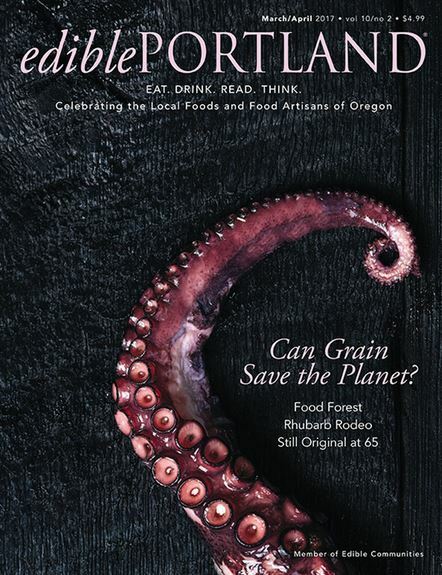 Click here to read on the Edible Portland website https://edibleportland.com/cascade-farm/.